»Forums Index »Halo Custom Edition (Bungie/Gearbox) »Halo CE General Discussion »Firefight Descent II - A call for help. I understand that there may not be many folks left around here that could help us, but I thought I would ask here anyway. About 6 years ago me and a guy named Moooseguy created a map called Firefight Descent. 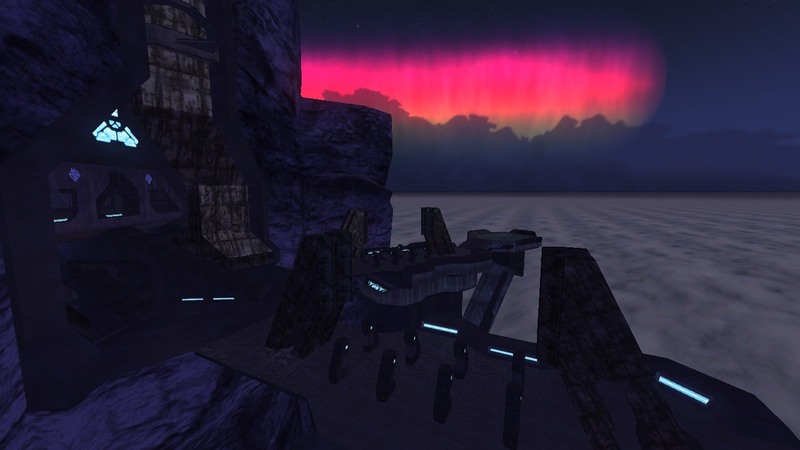 Shortly after we started a successor to this map known at that time as Deadly Descent, we also started a project called Firefight Portent II. Unfortunately Moooseguy left and we were unable to finish either of the projects. Then about 4 years ago a member here named Spiral convinced me to combine both these projects and start another project called Firefight Descent II, you may have seen some of the trailers in the final years of CE3. Spiral enlisted the help of another member here named Super Flanker and they remastered the original Descent BSP and the Portent BSP. This took a staggering 3.5 years. Once the BSPs were finished Super Flanker disappeared, and Spiral is unable to contribute much to the project at this time. I wanted to give this background story to give any potential helpers a good idea how far along I am, which is not as far as I should be after all this time. Considering how many years of effort were put into the BSPs I would like to finish the project, but I do not want to reuse the tags from the original Firefight Descent from 6 years ago. It would be nice to have some sort of a upgraded tagset with OS shaders. I am looking for someone who can help create weapon/biped/HUD tagsets for use in Firefight Descent II. I am also looking for someone who can help create cutscenes and animations. I know this is a lot to ask, but I think this project has a lot potential. I have have scripted in the lives system and armory from the original Descent, as well as the armory and points system from the unreleased Portent II. I think it would be a good idea to have a good tagset to use with these assets. I could also use some help for finding soundtrack, feel free to give suggestions but the soundtrack must be Halo themed. Does anyone have any thoughts on what the best option is if I cannot find help? I do not have any experience in modeling or creating bitmaps, so whatever I would create would be rather low quality. Note: This is not an announcement thread. This project is not guaranteed to be released to the public at this point, and no betas exist. Xfire has been gone for a long time. As for Discord I am completely unfamiliar with it. I have been "out of it" for quite some time now. That is fine though, I am sure in the end I will figure something out. It'd be a good move to get into discord, though I haven't done so myself. Nearly everyone that posted here has seemingly moved on to there. I really do hope this project manages to see the day of light, even as a beta. There�s no such thing as a �spv3 evolved tagset. I can give you access to our current sov3 tagset and some of our old content from the banished project, we had a really awesome 4K ODST hud that could certainly be of use to you. I appreciate the offer, as long as I have permission I would be very grateful to be able to use it. I am a little confused the SPv3 tagsets that are out there. If my memory serves me correct there was one publicly released for B30 Evolved. Then there was SPv3.1, which did not have a public tag release. I assume the one folks are referring to here is the B30 Evolved set? My main concern was the tactical weapon theme the original map had and trying to match it. Though this was a long time ago and SPv3 has changed a lot since I first looked at it, so it could probably fit the theme just fine. Thanks for the input. I hope I can make the project see the light of day too, I have had too many failures here. I will probably use some version of the SPv3 tagset. I'd personally go with the Zteam Halo 3 tagset and some updated versions of the tactical weapons (better shaders, improved firing effects) that you guys used in Firefight Descent. I really liked the ODST inspired look of everything in the original Firefight Descent and the CMT tagset (although awesome) would remove some of that legacy no offense. Edit: Also Altheros made some decent ODST inspired mods (Winterstruct beta and the Alsthetic mod) which have Zteam weapons with Open Sauce. It's been a while since I was able to help with this, weren't you guys having some difficulty with the last tagset due to Moooseguy not agreeing with it or something? wouldn't you need a tagset that'd more align with his ideas? 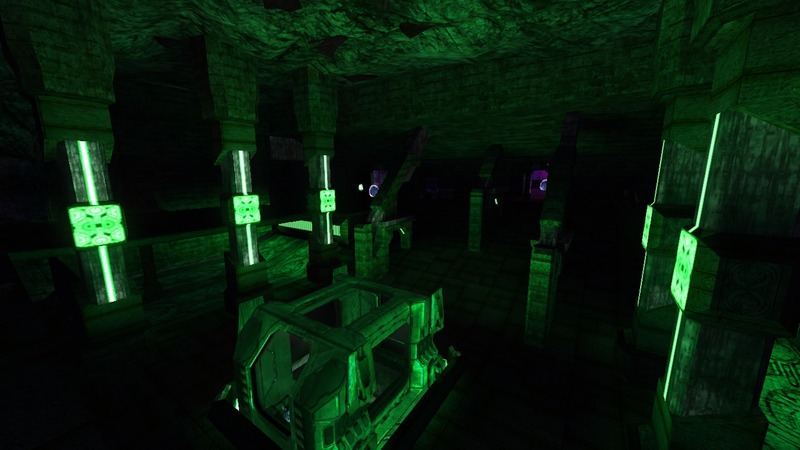 I think we used some of Zteams H3 tags in the original descent, but with custom animations. The only recent public map of his I could find is the one here. I played through some of it (but it crashed) and I do agree that some of the tags could be reused, I am not sure that they would fit the theme very well either as they seem very Halo Reach inspired. 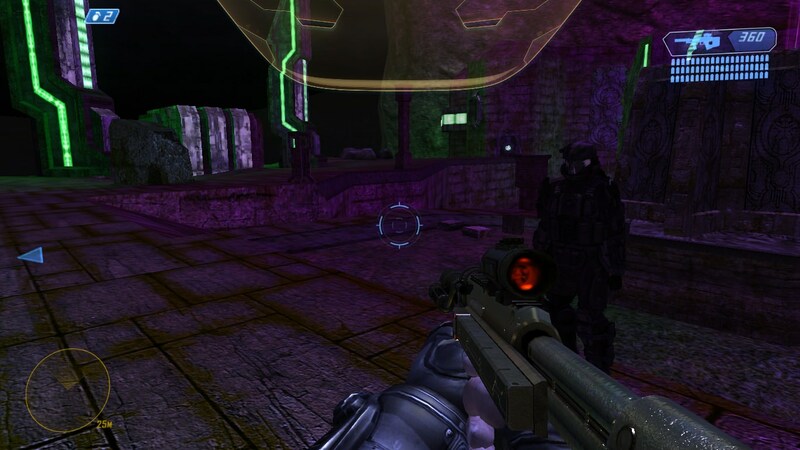 From what I can tell CMT also made some tactical versions of their weaponset (tactical SMG, Battle Rifle, and Sniper) that would allow Descent II to retain some of the legacy of the original. I definitely see that they are similar and it probably could work, one of my concerns is with the quality of the tags. There were some weapons where the gun was floating above the players hands. The answer is yes for both questions. There used to be a lot of internal politics and disagreements that stopped us from getting very far. However, at this point they have all moved on and I want to push this project forward. Moooseguy would probably reject the idea of using a CMT tagset (as he did in the past), but he is gone and if this map is to ever be released then I am going to have to go with something that has already been created or find someone that can help. I assume the one folks are referring to here is the B30 Evolved set? I don't posess the skills to help you, i can't code at all in fact, lol. Have a great day! Sincerely Fizzie. Well feel free to join the SPV3 discord, what's ours is yours if you want it. A very pre-alpha picturep of what the map might look like with tactical CMT tags. I appreciate the encouragement. I'll try, and see if I can get the map going. I have a hard deadline for myself to produce this map, which will be the end of next year (December 2019). If I am unable to accomplish the complete map by then, I'll release all the tags that were created such as the BSPs and the armory system. No more letting this drag on for years and years. Shoot me a message when you join, I�m sure we can bounce a lot of ideas around for it. Looks like we'll be setting up a discord thread/page/whateveritis at some point not too far in the future. I'll post a link here when I have it. I'll also keep this thread up to date as well. If anyone wants to help feel free to send me a message or post here. Not sure what we are going to do with the player biped yet. He may change to be more of a conventional ODST, rather than the ODST SPI biped we had, as he had many rigging issues. Not dead, but not alive either. Zombie maybe? I hope to be posting content updates at some point either later this year or next year, but I am not far enough along yet to do so. I hope I'll be able to work with Masterz to get some of his ideas implemented as well. I'd say keep this thing going! I had no idea anyone was still working on it! It will be kept going, and hopefully released in some form next year. I plan to keep both the discord thread that MatthewDratt posted here and Halomaps (assuming people still post here) up to date with information as things progress. Some time next year I will make a more formal announcement and hopefully folks will be interested. Thanks! If you go with modified CMT tags for this I'm your man, I mean damn if you go with anything I'd be interested in seeing what I can do. I can't say with any confidence what role the flood is going to play in this map yet. We have some leftovers from Descent: Quarantine that I would like to use. At the same time letting the player sit back while the covenant and flood wipe each other out is not very fun. They may make an appearance if I can figure out how to implement them properly. I hate to say this but, whatever was shown in the 2014, 2015, 2016 CE3 trailers for Firefight Descent II/Quarantine was completely spoofed and never really existed. I had practically no involvement with the creation of those trailers and I never received the content shown in those trailers. I have not actually even watched the full Descent II 2016 CE3 trailer, and I really don't want to. I would not consider what is shown in those trailers relevant at all. Im happy to help, although i don't have much experience. I'd love to see this project go through! I loved the original! Those stupid test bsp portal issues were so annoying! I guess the memo wasn�t posted here, but pepzee and spiral have joined the SPV3 Dev team and we are developing a series of firefight maps with them. We�ve got some really awesome stuff in the works which will offer a unique expierence every playthrough, with more game modes and options available in it than any other iteration of firefight. The big thing we've done is allowing different gamemodes to have different skulls turn on in different orders, so you can play the standard version of a 10, 40 or 70 round map with the same skulls turning on in a preset order, or have a gamemode that will let them stack in a true random order each time. Then there are the gametypes too where there are conditions for losing different than losing all your lives. A lot of this is still in the planning stages, or partially implemented, but with the script framework we've done and the fact someone on the SPV3 team is a wizard with the UIs, we can basically expand this near limitlessly with little effort and can be easily used to create new firefight maps at a rapid pace. Once descent is done, I expect each of the 3 variants to take a week each to set up, and a new firefight map could probably be done within a month for all 4 variants. There's a lot of exciting stuff with it and in some ways, I am more excited for it than our 6 new campaign maps. But that may just be me burnt out on campaign. Firefight Descent II has been merged into SPv3 and will be known as SPv3 Firefight Descent. Hence Firefight Descent II is cancelled. Projects have been split up in different directions, some joining SPv3 and others going their own way. Firefight Portent II from 2015 will be salvaged with a new BSP. Portent II is not an SPv3 project and will be worked on independently as a second project in spare time. For now the focus will be SPv3 and getting Descent up and running with the rest of the SPv3 project. Time: Tue April 23, 2019 11:09 AM 562 ms.